Taking the street food culture and laneways of Tokyo, comes Yokocho. A modern and eclectic experience of Japanese cuisine. 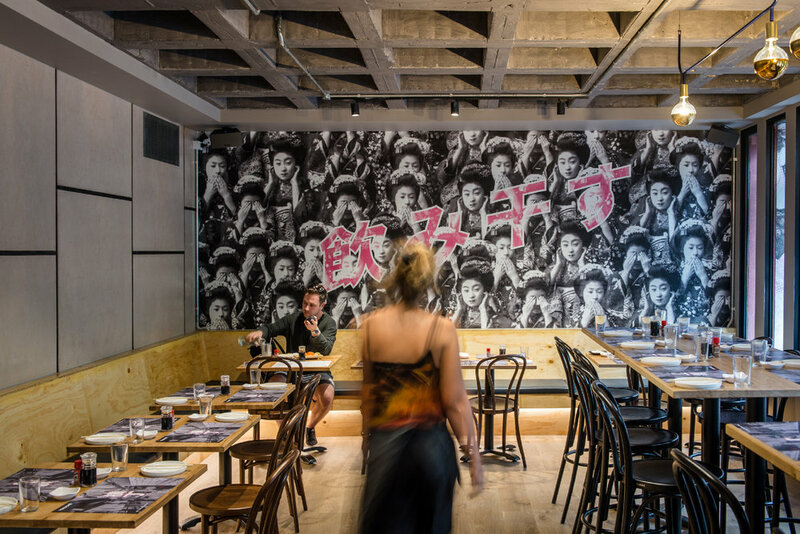 Located in the iconic Mid City Arcade on Bourke Street, the vibrant street culture of Tokyo is reimagined through Yokocho's minimalistic fit out and lively ambience. Literally translating to ‘alley-way’, Yokocho mimics the laneways made famous by salary men and women in Tokyo. BrandWorks was engaged by the client to design a brand that pulled away from typical Japanese food stereotypes and towards a more modern, futuristic aesthetic that feels more Bladerunner than Astroboy.